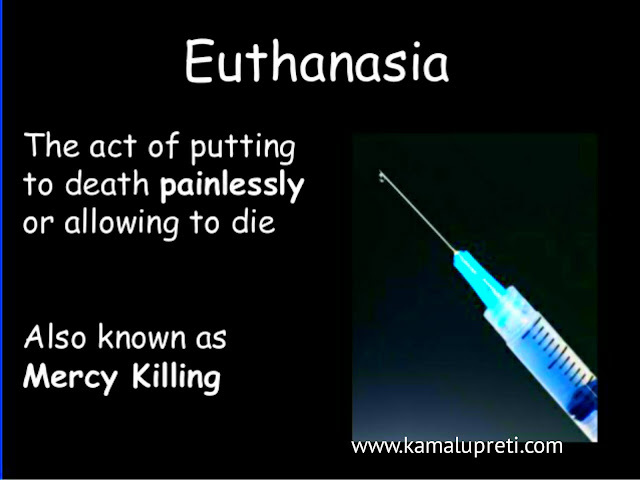 Euthanasia is obtained from Greek word which means "Good Death". Euthanasia is the practice of intentionally ending a life to relieve pain and suffering. There are different Euthanasia law in each country in the Netherlands and Belgium Euthanasia is understood as " Termination of life by a doctor at the request of a patient. Voluntary Euthanasia is legal in some countries. Non-Voluntary Euthanasia is illegal in all countries Involuntary euthanasia is also illegal in all countries and is usually considered murder. When doctor's don't provide or remove patients from life sustaining treatment includes disconnecting life-support machines or not carrying out life-saving operations not providing life-extending drugs , Non-treatment not seen as cause of death patient understood to have died because of underlying condition. 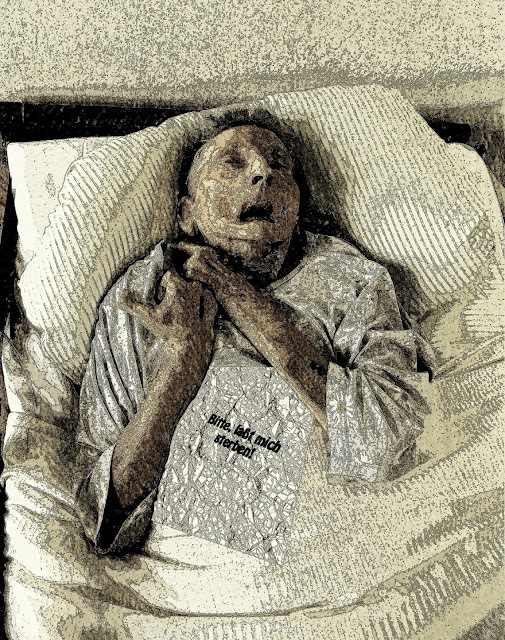 Active Euthanasia however is legal or defacto legal in only a handful of countries like Belgium,Canada,Switzerland and is limited to specific circumstances and the approval of councilors and doctors or other specialists in some countries such as Nigeria,Saudi Arabia and Pakistan support for active Euthanasia is almost non-existent. Please encourage our efforts by sharing this article. It my pleasure that you get some knowledge from this post..